Action: Powerful anti-infectious agent (for respiratory, intestines, genital, nerves, blood and lymphatics) with large-spectrum action against bacteria, mycobacteria, fungi, viruses, and parasites, antiparasitic, antiseptic, antiviral. It is a general tonic and immunostimulant. Benefits, Indications: Asthma, bronchitis (chronic), mental disease, pulmonary tuberculosis, rheumatism, whooping cough. May help respiratory infections, digestion problems, viral and bacterial pneumonia, balance metabolism and strengthen the vital centers. Studies have shown its usefulness against candida, aspergillus, staph infections, vaginal infections, pseudomonas and listeria. A study from the US Department of Agriculture showed that the essential oil presented antimicrobial activities against salmonella and E.coli. Other research holds the same, stating that oregano oil is such a powerful antimicrobial that it can be used to preserve food. Studies from the Department of Food Science at the University of Tennessee and the University of the Algarve found similar results for oregano’s antibacterial action on pathogenic germs. Precautions: High phenol content can burn the skin – dilute 1 drop essential oil to 50 drops vegetable or massage oil for topical application other than the bottom of feet. Use extra caution to avoid contact with all mucus membranes. Spanish oregano is aka Thymus capitans, Coridothymus capitatus, Satureja capitata, Israeli oreganum, Cretan thyme or thyme of the ancients. 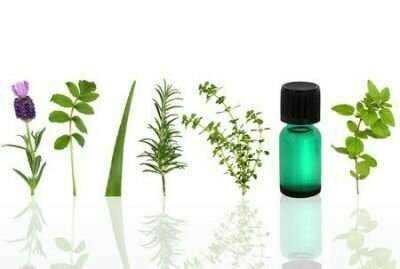 Correction to: Green drugs in the fight against Anisakis simplex-larvicidal activity and acetylcholinesterase inhibition of Origanum compactum essential oil.